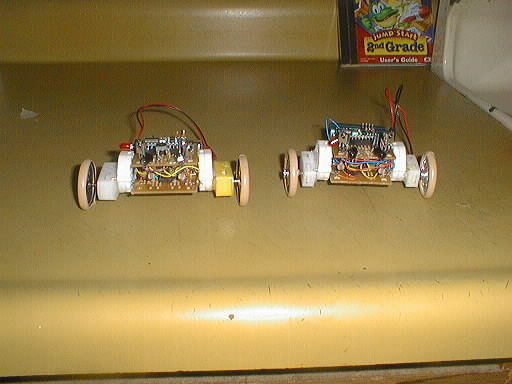 Fric and Frac were designed to run with Swatch stepper motors. directly from the STAMP CPU that is the brain of each robot. They can run 6 to 8 hours on a 9 volt LiMH battery. mod was to add additional gear boxes to the motors. (reads 8 pins for a cost of 4 stamp pins).